On 10 February, the ČEZ City Cross Sprint skiing competition took place in Ostrava. 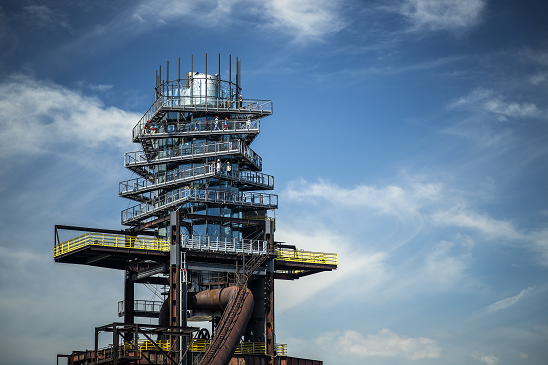 Skiers competed under the blast furnaces and other facilities at Dolní Vítkovice, a former industrial area protected by UNESCO, which also hosts the Bolt Tower, a helix of 78 metres built with steel from ArcelorMittal Ostrava. This tower, which now includes an observation point, multifunctional spaces and a café was named after Olympic champion Usain Bolt, who inaugurated the tower in 2015. Dolní Vítkovice is a former industrial area located near Ostrava. After its last blast furnace was shutdown in 1998, the government declared the area as a national sight. In 2009, it was decided to breathe a new life into Dolní Vítkovice, making the site accessible to the public and using it for educational, cultural and social activities. As the largest steel producer in the Czech Republic, ArcelorMittal Ostrava proudly contributed to the construction of the Bolt Tower. Our mill supplied nearly 500 tonnes of steel for the construction of the tower, split between flat bars, angles, seamless tubes and sheets. Architect Josef Pleskot is behind the design of the Bolt Tower, which reminds of the fire that constantly burned at the time when the metallurgical plants were in function. 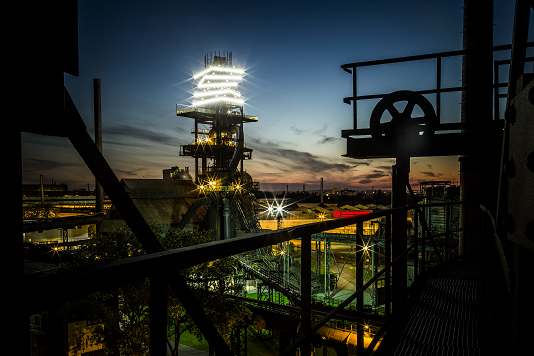 The result is a steel and glass construction of 14.1-metre mounted on top of the 63.6-metre former blast furnace. The construction of the tower began in February 2014 and the first visitors were welcomed in May 2015. The same year, the project was awarded with the Building of the Year award in the Czech Republic. The Bolt Tower is geographically the highest point in Ostrava, making it a unique observation tower. It got its name from bolt (a metal bar) and from athlete Usain Bolt, world champion and Olympic winner, who officially lent his name to the Tower during the official inauguration in May 2015. 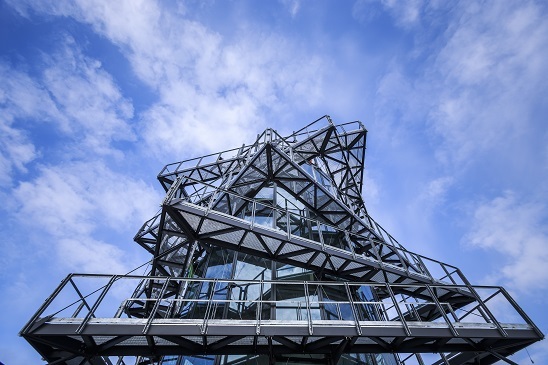 Apart from an amazing view of the Beskydy Mountains and of the surrounding area, the Bolt Tower also offers a café and a club where students are headed for their technical education. Guided tours are organised to present how hot metal was produced in the blast furnace at the time of its operation. The industrial complex has now been transformed into a unique educational, social and cultural centre. On the premises you can find a Science and Technology Centre presenting science and technology as an entertaining game and a cultural area Hlubina, attracting not only musicians and bands but also sculptors, designers, visual artists and music concert lovers to a variety of cultural events.